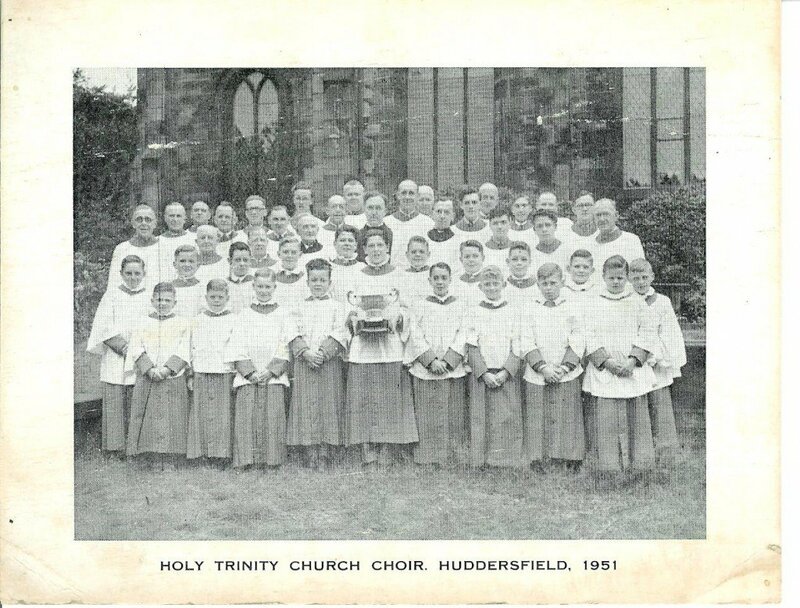 Holy Trinity was built in 1819 at a time when Huddersfield was growing rapidly due to the Industrial Revolution. The early nineteenth century was also a time of revival in the church and attendance was rising. In Huddersfield, the Parish Church (St Peters) was full and Holy Trinity was built as a Chapel of Ease, to serve the growing population. Holy Trinity was built by Benjamin Haigh Allen, who lived at nearby Greenhead Hall (on the site of the college). Allen was born in 1792 and was a County Magistrate and the first chairman of the Huddersfield Banking Company (now part of HSBC). He was a man of great faith, strongly affected by the evangelical revival. Although very wealthy, he tried to use his money philanthropically to provide for the poor. Allen was empowered by parliament to have the church built. It cost him the personal sum of £12,000 and its construction took 3 years. The church was designed by Thomas Taylor of Leeds and built by Joseph Kaye, a local builder responsible for many of the town’s principle buildings including the railway station and the Methodist’s Queen Street Chapel (now the Lawrence Batley Theatre). Holy Trinity’s design was modelled on Christ Church, Liversedge which sits on a similar site and was also by Thomas Taylor. Holy Trinity was consecrated on October 8th 1819. Henry Maddock, a close friend of Allen’s became the church’s first minister. Allen worked tirelessly for the church, teaching in its school. He was passionate about spreading the gospel message. The 1820s were a stressful time for the businesses of the town. There was unrest amongst the working population, who struggled to adapt to changing working practices and machinery. There was a banking crisis in 1825 and some local banks failed, hitting trade and manufacturing output. The Huddersfield Bank was incorporated in 1827, becoming only the second bank in England to become a joint stock bank, Allen became its first Chairman. It was a great shock when Allen died in 1829 aged just 36. He was buried in the crypt alongside his infant daughter; his memorial is in the chancel opposite the organ. He left a widow and four children. 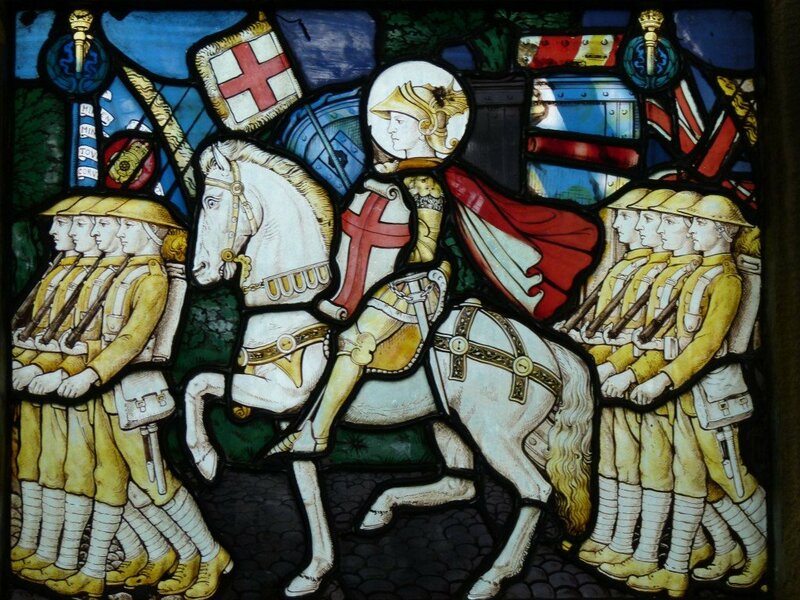 His funeral service, held at Trinity Church was preceded by a procession of 700 gentlemen in deep mourning from the Parish Church. All the shops shut as a sign of respect and the Leeds Mercury newspaper reported a crowd of over 10,000 standing silently lining the streets to the church. Holy Trinity was built to accommodate 1500 people in tall box-pews. Galleries were built around three sides around the central triple-decker pulpit constructed in front of the chancel to give a commanding view. Preaching the word of God was clearly part of the founding principles of Holy Trinity. To lead the worship of the congregation a large singing loft, containing an organ and seating for 100, was situated above the west gallery. 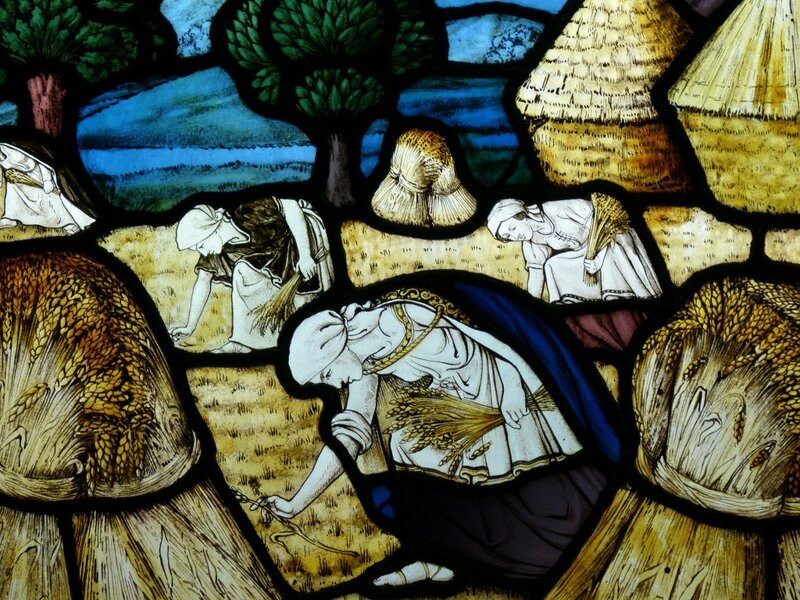 500 of the seats in the church were to be freely available for the use of the poor of the parish. Holy Trinity was built with a churchyard and deep crypt for burials and Allen was permitted to sell a fifth of the burial plots for interments. Services at Holy Trinity included the singing of hymns, unusual for many Anglican churches of the time, alongside the singing of the Psalms and canticles. Preaching and teaching was paramount, as both Allen and Maddock had been strongly influenced by the ‘Clapham Sect’. a group of evangelical social reformers. Informal classes for working children had started by Allen before the church was finished. 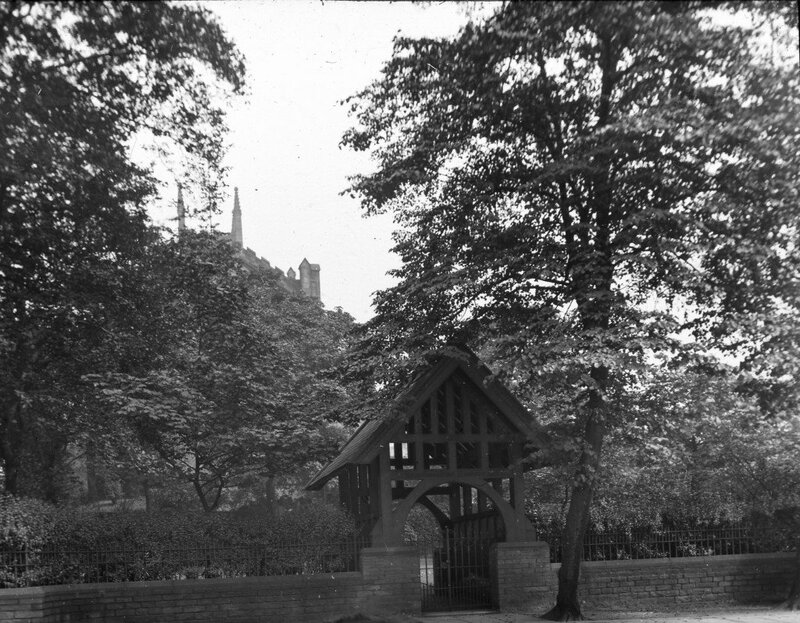 Lessons for boys were taught in the north vestry (that now contains the organ), the girls were taught in the rooms above the stables at Greenhead. The first ‘Sabbath Schools’ were officially opened in 1832, a day (‘National’) school opened soon after. The schools grew rapidly, there were 150 pupils by 1837, and they took over a temporary building on Dyke End Lane (now Portland Street) that had been used as a cholera hospital until the school buildings, across the road, were completed in 1840. The school needed extending by 1843, when over 400 pupils were attending its four classes. 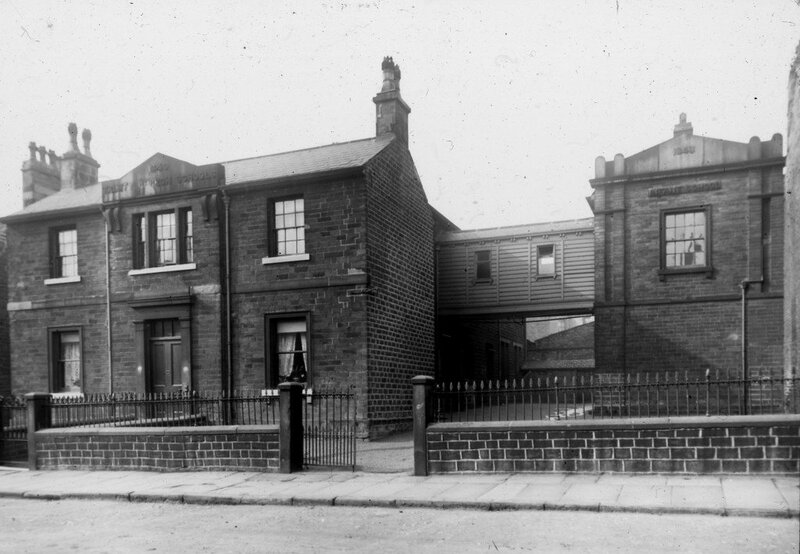 A further school was opened in Marsh in 1865 on St James’s Road. Services began being held at the newly opened Marsh Memorial School in 1866. The school was named in memory of Benjamin Haigh Allen’s wife, Sarah, who died shortly before the school was completed. 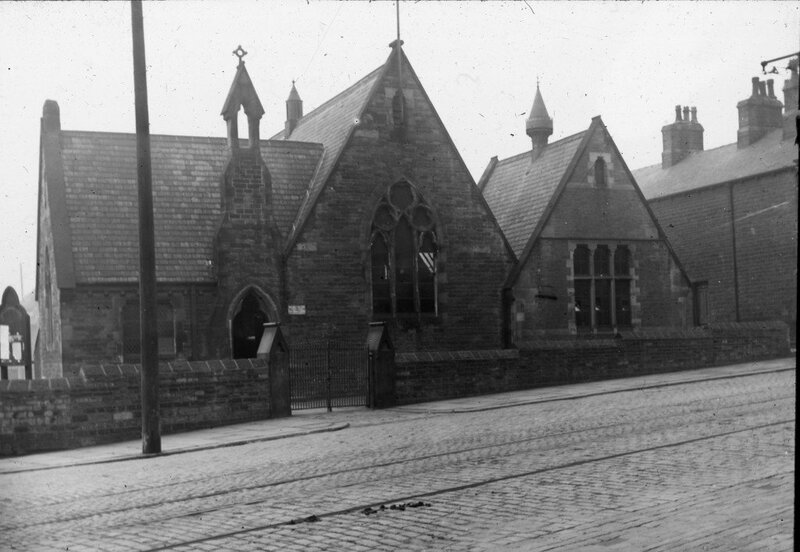 The school was constructed on the corner of Westbourne Road and St James’s Road on the site now used as the car park. With Huddersfield’s growing population and the churchyard at St Peters being full, Holy Trinity saw a large proportion of Huddersfield’s burials, mainly in unmarked plots. There were also some burials in the crypt which was built as a catacomb, but it seemed this became unpopular or unfashionable. The result was that the churchyard was closed in 1852 with the opening of the nearby Edgerton Cemetery. In 1845 the singing loft was removed and a new organ situated in the west gallery. A smaller pulpit replaced the original. A boys choir with 20 choristers was started, which sat in the west gallery. The chancel was used for the occasional services of Holy Communion and for lectures, lessons and classes. It was raised just one step above the nave and partially hidden behind the original pulpit. The pulpit was moved to the left when the choir moved into the chancel in 1878. Holy Trinity became a parish church in 1857 serving the growing districts of Edgerton, Springwood, Gledholt and Marsh. The church interior was remodelled during the 1880s. There had been calls for the removal of the north and south galleries to make the church brighter inside. In line with many other churches, the organ was moved into the north vestry. To prepare for the organ’s installation part of the north gallery was demolished, but this was done without a ‘faculty’ (official permission) and the churchwardens ended up in the Consistory Court. Eventually the decision was made that the galleries should remain, to preserve the original number of ‘free sittings’ for the poor, but the removed section of gallery needn’t be replaced. This is the reason the stained glass windows on the north and south aisles only rise to the level of the galleries, but the window next to the organ is full height. In the redevelopment, the chancel was raised by 19″, a new vicar’s stall and pulpit constructed and steeper galleries built. New pews in pitch-pine with brass umbrella stands replaced the tall box pews. Stained glass was first used in the church. 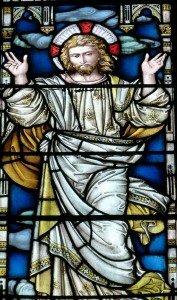 The east window was given in memory of Sarah Allen, the founder’s sister in law who lived at West Place, Trinity Street. It is a particularly fine depiction of the Ascension and the teaching of Christ in Matthew 25:35-6, to feed the hungry, welcome the stranger, visit prisoners and the sick. The eagle lectern was given by the pupils of the schools. The church was first lit by gas, an improved heating system was installed and encaustic tiles were laid in the central aisle and chancel. The organ was built by Jardine of Manchester at a cost of £620. Some stops were retained from the previous organ on the west gallery, the rest of which was sold to St Matthew’s Burnley. The organ has been extended by Wadsworth in 1924, Henry Willis in 1963 and Wood of Huddersfield in 1974. The organ contains 2,348 pipes and over 3 miles of cables. It is considered one of the best instruments in the town and whilst not used extensively for services, is often used in concerts hosted in the church. 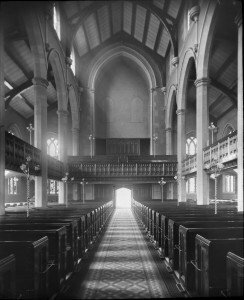 Services in Marsh were moved to the temporary Parish Room, built behind the school on what was then called ‘Mission Street’, now St James’s Road, in 1892. These later moved to the adjacent Parish Hall built in 1913. The hall became an important centre for local, community activities. It was hoped the site of the Parish Room could be used for the construction of a new church in the 1920s but these ideas proved too expensive at a time of financial hardship. 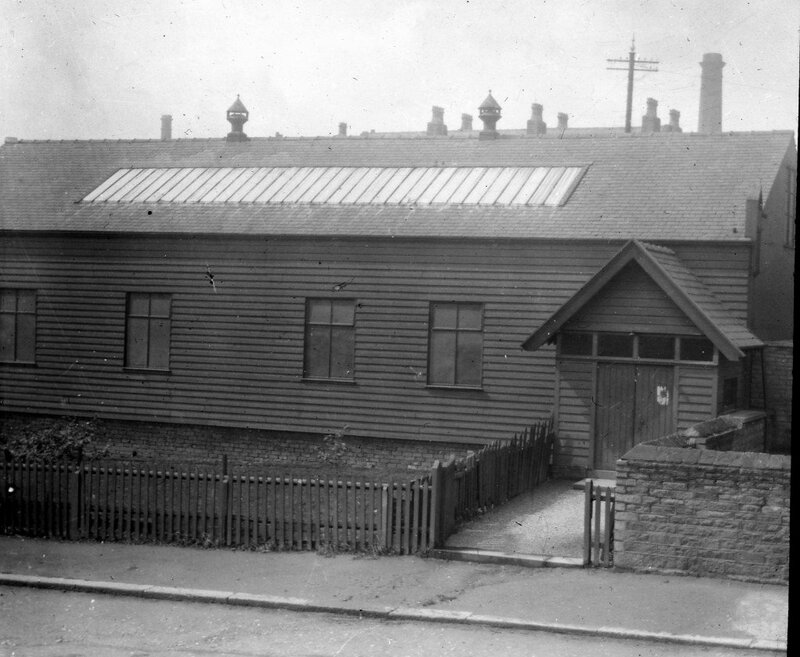 The site of the Parish Room was used for the school children to play on before being developed as a tennis club before being sold for housing. The Parish Hall was built to accommodate the growing activities of the church. The hall itself seated 350, (not including its gallery) and 10 classrooms opened off it for use by the Sunday School. There were changing rooms for sports teams, a billiards room, kitchens and meeting rooms spread over 4 floors. The hall was designed to be multi-purpose and was licensed for public worship as St James’. Soon after its opening, the building was requisitioned for use as a War Hospital during the First World War. The hall was used extensively by church and community until being sold in 2002. The sanctuary was refurbished in the 1920s with new panelling, carved reredos and matching communion furniture. The carvings, by local artist Henry Percy Jackson are particularly fine and feature a number of wildlife images. A new silver-gilt communion set by Omar Ramsden, still used each Sunday, was given to use in worship for the new sanctuary. A pair of facing stained glass windows in the north and south aisles was installed following the First World War. One shows the story of Ruth and the other shows soldiers marching off to the war. The war memorial of Portland Stone was unveiled at the same time. 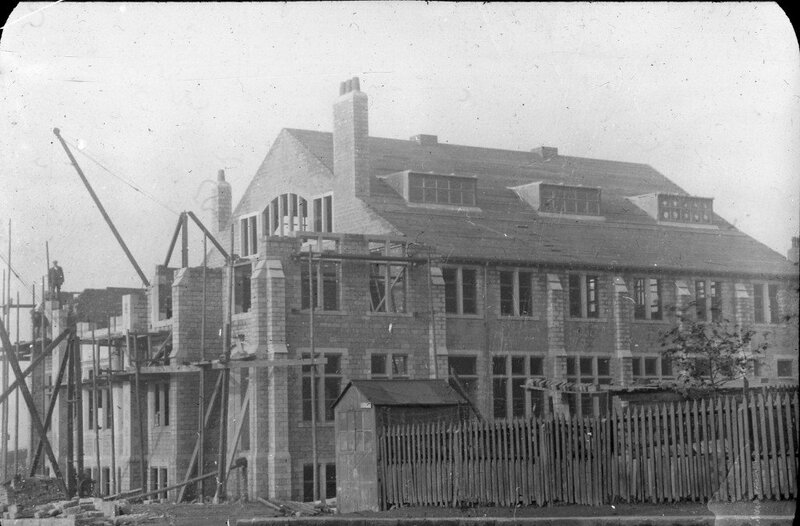 The re-organisation of schools in Huddersfield led to the closure of the Portland Street School in 1935. The buildings are still in use as a nursery. The church was once renowned for its choir which won the Festival of Britain Chapel and Church Choir Competition in London in 1951. Today our worship is more informal, blending both contemporary and more traditional music. The Mothers Union celebrated its 75th anniversary in 1981 with the installation of a stained glass window depicting the Virgin Mary. In 2015 the decision was made to close the Mothers Union branch after many years service to the families of the parish and support of family-life across the world. A narthex beneath the west gallery was built in 1982. This was used by the Sunday School, for refreshments, meetings etc. The font was moved to the front of the church by the vestry doors. Some of the front pews were removed to create more space for concerts etc. A toilet was also installed for the first time. The church building was completely reordered in 1995 to provide greater flexibility. A platform replaced the Vicar’s stall and pulpit, chairs replaced the pews and the galleries removed. A new balcony was built over an enlarged ‘welcome area’, with meeting rooms constructed at first and second floor levels. Whilst the building has seen major change on the inside, outside it remains much as it did when first built, nearly 200 years ago. 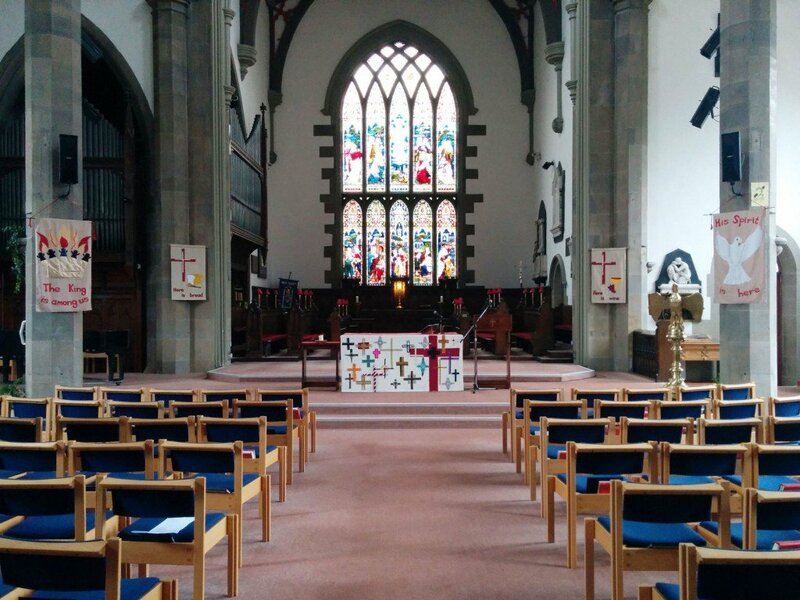 The changes to the church building reflect the changes to our church life as we continue to interpret the gospel message and serve the people of Huddersfield in the legacy of Benjamin Haigh Allen. The church family at Holy Trinity now seeks to preserve the heritage of its handsome, grade 2* listed building, by making it watertight and warm, fit to serve the people of this town for many more years to come.